As a psionicist, you gain the following class features. You were born with either telekinesis or telepathy. All melee weapons you wield have a reach of an additional 10 feet. You can mentally communicate with any creature you can see within 30 feet of you. You do not need to share a language with the creature for it to understand your mental communications, but it must be able to speak at least one language. Whenever you finish a long rest you have a minimum of one inspiration point. If you already had at least one inspiration point, you do not gain another. Starting at 2nd level, you may make treat any ability check, attack roll or saving throw as if you are proficient in it. Once you use this feature you must finish a long rest before using it again. You can use this feature twice between long rests starting at 17th level. At 3rd level, you choose a path of training to utilize and shape your psionic gifts. Your path grants you features at 3rd level and again at 7th, 10th, 15, and 18 level. When you reach 4th level, and again at 6th, 8th, 12th, 14th, 16th, and 19th level, you can increase one ability score of your choice by 2, or you can increase two ability scores of your choice by 1. As normal, you can't increase an ability score above 20 using this feature. Beginning at 5th level, you can spend a power point whenever you succeed on an attack roll or your opponent fails a saving throw against one of your psionic gifts. A power point adds 5 x your proficiency bonus to the damage of your weapon or psionic gift. The number of power points increases to two when you reach 11th level in this class and to four when your reach 20th level in this class. You can use this feature twice between long rests starting at 11th level and three time between long rests starting at 20th level. Beginning at 9th Level, you me give a creature disadvantage on their attack roll against your. Once you use this feature you must finish a long rest before using it again. You can use this feature twice between long rests starting at 13th level and three times between long rests starting at 17th level. Beginning when you choose this path at Level 3, you gain +1 to hit when your throw a weapon (range of 30/90 feet), also it returns to you at the beginning of your next turn. Starting at 7th Level you gain a +2 bonus to Dexterity and Strength saving throws. Starting at 10th Level you may telekinetically have a light weapon orbit your body and automatically inflict slashing damage equal to your proficiency bonus to any creature within 5 feet of you. Starting at 15th Level when you throw a weapon you may attack each creature in a 60-foot cone and your weapon will return to you at the start of your next turn. 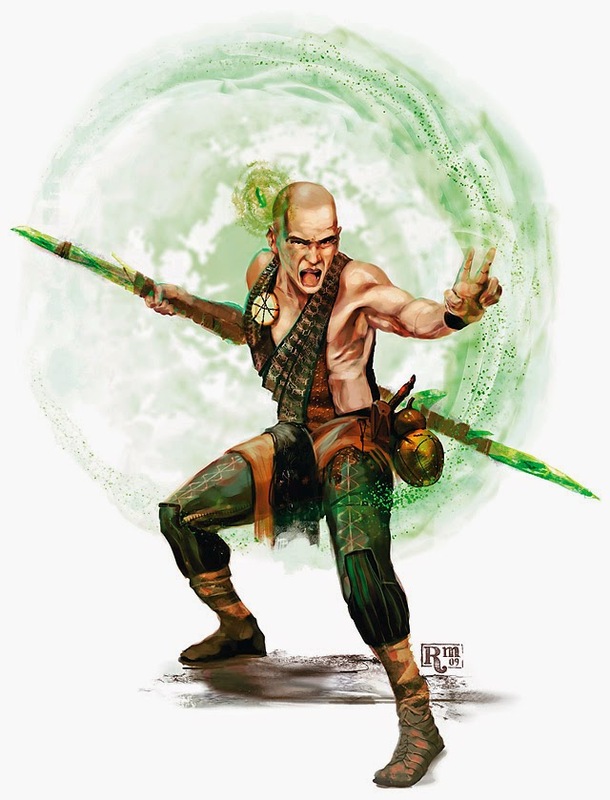 Starting at 18th Level as a bonus action, you may use your telekinesis to make an extra melee attack, but you add your Wisdom modifier to the attack and damage roll, instead of Strength or Dexterity. Beginning when you choose this path at Level 3, you gan the telepathic ability to mentally attack a creature. A creature within 120 feet must make successful Wisdom save vs a DC of 8 + twice your proficiency bonus or take 1d8 psychic damage and can't take bonus action until the end of it's next turn. The gift's damage increases by 1d8 when you reach 5th level (2d8), 11th level (3d8), and 17th level (4d8). Starting at 7th Level you gain a +2 bonus to your AC and any Insight, Investigation or Perception checks you make. Starting at 10th Level you gain advantage on all Wisdom saving throws. Starting at 15th Level any creature in a 60 foot cone feet must make successful Wisdom save vs a DC of 8 + twice your proficiency bonus or take 3d10 psychic damage on a failed save or half as much damage on a successful one. Starting at 18th Level a creature within 30 feet must make successful Wisdom save vs a DC of 8 + twice your proficiency bonus or become charmed (can't attack the charmer or target the charmer with harmful abilities or magical effects; the charmer has advantage on any ability checks to interact socially with the creature, even with telepathy). Mind Control requires your concentration. Advanced Next takes OSRIC/AD&D 1E and merges it with 5E. I tested it out a few months ago when running a game set in Azeroth. +6 from Level 17 and higher. Bonus Attacks: Fighters gain extra attacks at Level 5, 11, and 20. Battle Hardened: Fighters gain +2 to all attack rolls. Lightning Reflexes: Fighters gain +5 to initiative rolls. If weapon specialisation is in play, fighters may choose a specific weapon to be specialized in and once per battle they may make one extra attack with their specialized weapon as a bonus action. Fighter's also gain +1 to hit and +2 damage owing to their skill with the weapon they have chosen. 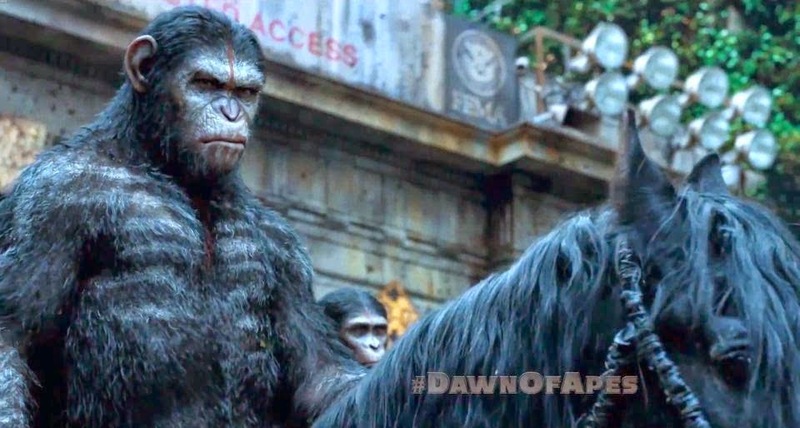 After reading Trey's post on Dawn of the Planet of the Apes, I decided to whip this up. Natural Climber Chimpanzees climb at their full speed. Melee Attack—Machete +5 to hit (reach 5 ft.; one creature). Ranged Attack—Rifle +4 to hit (range 60/180 ft.; one creature). Hit: 2d6+1* piercing damage. *When you roll a 1 or a 2 on a damage die for an attack you made with a firearm you can reroll the die, but you must use the new roll even if it is a 1 or a 2. 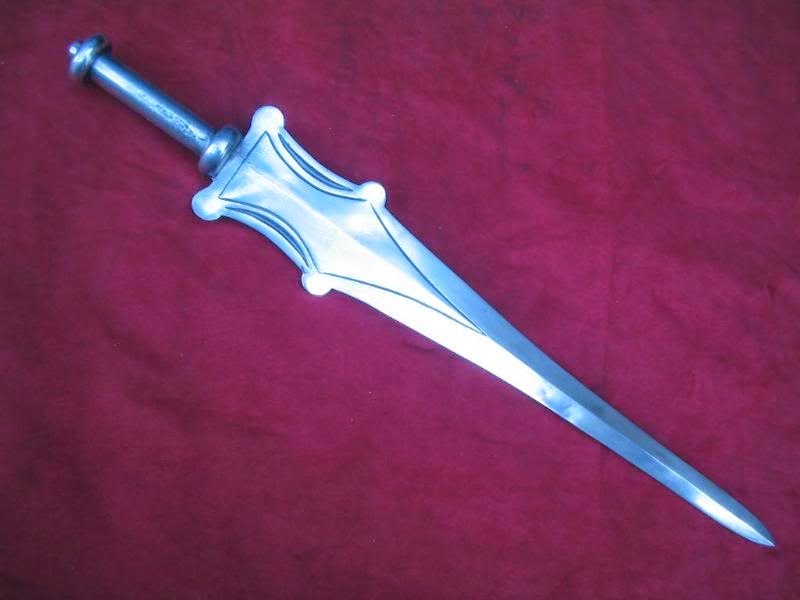 While in possession of the Power Sword you add +3 to any Constitution, Strength or Wisdom saves. Also, when saving against spells you may gain disadvantage on the roll, if you succeed the spell is reflected back at the caster (DC 14). Yesterday I raved about the quality of Necromancer Games Wizards Amulet, with my only grip being the way they laid out the Pregens in the PDF. Well one of my players in that game (and my DM for the Starter adventure), Ben Bach, took the time to reset the layout with one Pregen per page. 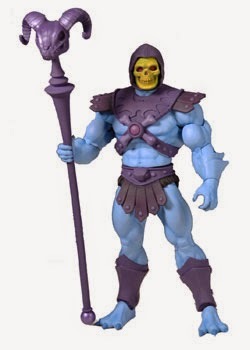 And after making sure with the Necromancers/Frog Gods it was cool to share, I'm posting the link right here. If someone has a better idea on presenting the file, I'm all ears. Everything YOU Need to Run D&D 5E OR I ran the Wizard's Amulet for D&D 5E from Necromancer Games last night! Our regular DM wasn't feeling up to running, so I opened up my PDF of the Wizard's Amulet, printed out the Pregens and we were up in playing in less than 20 minutes. 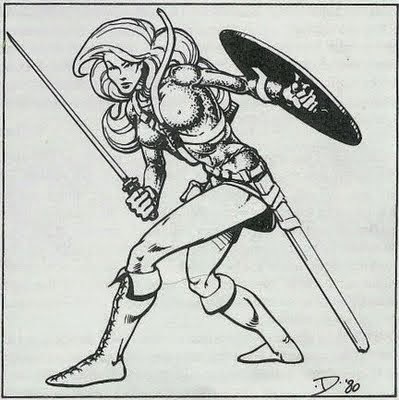 The adventure focuses on Exploration and Combat and outlines what each Scene is designed to for and guidelines and story to use if you need it. We only made it about two-thirds of the way through in a two hour period, but I highly recommend the adventure for DM's. Prep time is fast and the PDF is well organized to ease the DM's job. Encounters have some options and both boxed text to read aloud and plenty of information to use or ignore. The Pregens are all well thought out and encompass more than the four classes of Basic D&D, but their presentation is my biggest criticism. To conserve layout space, I'm assuming, the characters flow together on the pages (instead of having 1 or 2 characters clearly delineated per page) and this can means pertinent information, including stats may be on less than 1/4 of the next or previous page. My solution was to cut them up and paste them together, so with all that we were still up and playing within 20 minutes, which isn't bad. 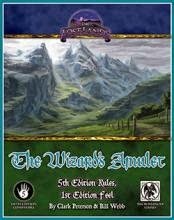 I really recommend the Wizard's Amulet (it's free after all) and also think you should check out Necromancer Games' 5E Kickstarter. Between Basic DnD and the Wizard's Amulet you have everything you need to star playing 5E right now, in less than 20 minutes! So last night, my 10 year old daughter, E ran DnD 5E. This wasn’t her first time being a game master (her & my 13 year old son ran their friends through separate games at their birthday parties last year), but it was her first time running by herself. Her players were my son and I and I was shocked how confident, quick to improvise and just plain naturally good she was at it. She even did different voices for her NPC’s and gave them little distinct trademarks for us to remember. The town of Kettlecorn, within 20 miles from Phandelver no less, has been the site of numerous disappearance of late. Sadly these abductions range from livestock to small children and the town believes orcs are responsible. But the crimes don’t fit what we know of orcs, so the town’s sheriff has brought us in to help (this was all her set up, by the way). “Us” is Hollis Mcavoy a Halfling Detective and Thorax Bugsman, who is one-eight cricket, and a Fighter. After interviewing some victims and witnesses, we found a clue that points to the a nearby forest filled with “pixies, faeries, elves, witches and a few goodly folk” we made plans to set out and investigate further. We have decide the orc theory is hogwash. So tomorrow, officially, the DnD 5E Starter and and DnD Basic will both be available, to some degree. I've been playing 5E now since February 2013. And I'm still excited to see it. Heck, I'm still play testing for WotC and have a fairly finished version of the Player's Handbook since January and I'm STILL excited to see it all. One of the groups that's plays DnD Encounters with me has finished Dead in Thay and will begin running the adventure in the Starter Set tomorrow. I'm making a Halfling Rogue named Hollis Mcavoy of the East Bend Mcavoys. I can't wait. I'm sure the road ahead is paved with much uncertainty for the 5E, but what I've seen has been well made and rife with backwards compatibility. And that's all I want.